For today’s SRC reveal, I was assigned CJ’s blog, Morsels ofLife. 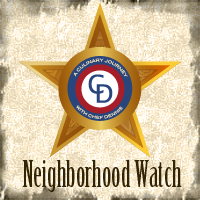 At Morsels of Life, CJ shares her recipes. She’s an engineer and a new mom so she values easy, efficient meals using ingredients that she has on hand. As I was browsing, I was feeling the carby side dishes. I was positively drooling over the Pesto Swirl Biscuits and the Cheddar Bacon Swirl Biscuits. I mean – De-lish! But then I got lazy and didn’t want to make my own biscuit dough and didn’t have any Bisquick on hand. Plus, I dug the potatoes out of my garden that day and came up with a whopping 10 pounds of potatoes – grown from just 6 seed potatoes! So when I saw CJ’s recipe for Hassalback Potatoes I was sold. 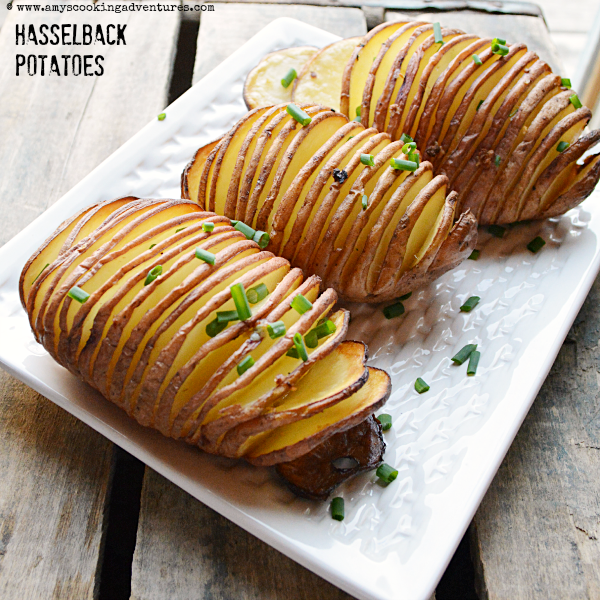 Hasselback Potatoes are something I’ve always wanted to try. They just look so stunning! And, it turns out, not only are they stunning, they’re also delicious. I mean, it’s a butter soaked potato – how can you possibly go wrong? Thank you, CJ, for crossing another delicious recipe off my bucket list! Use a large sharp knife to carefully cut thin (about 1/8 inch) slices through each potato, stopping just before cutting through. Resting the potato in a spoon rest or between 2 chopsticks can be useful so as not to cut through. Stir together the butter, garlic, and a dash of salt (if using unsalted butter). Generously brush half the butter over the potatoes, then place in the oven and bake for 25 minutes. After 25 minutes, brush the remaining butter over the potatoes, taking care to get butter in between the slices. 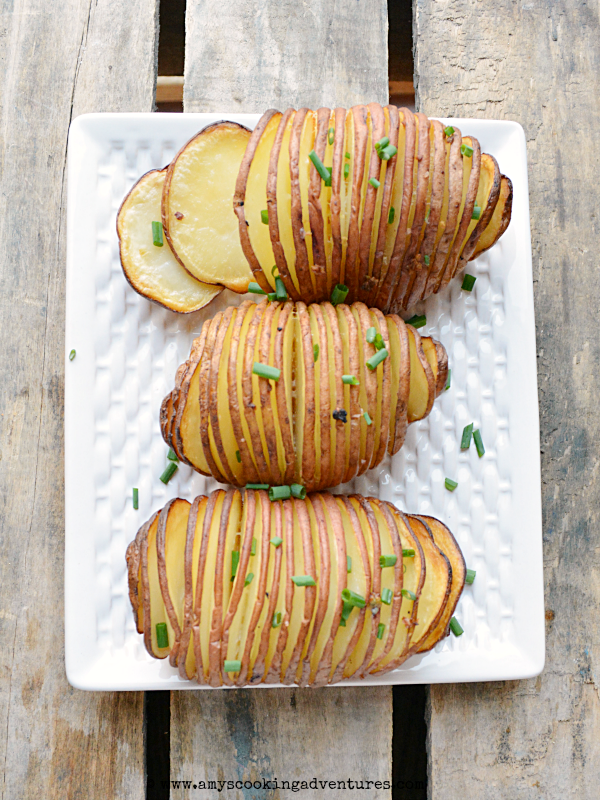 Bake for another 25-35 minutes or until the middles of the potatoes are tender and the edges are crispy. Remove from the oven and sprinkle with chives and other desired toppings. Serve immediately. 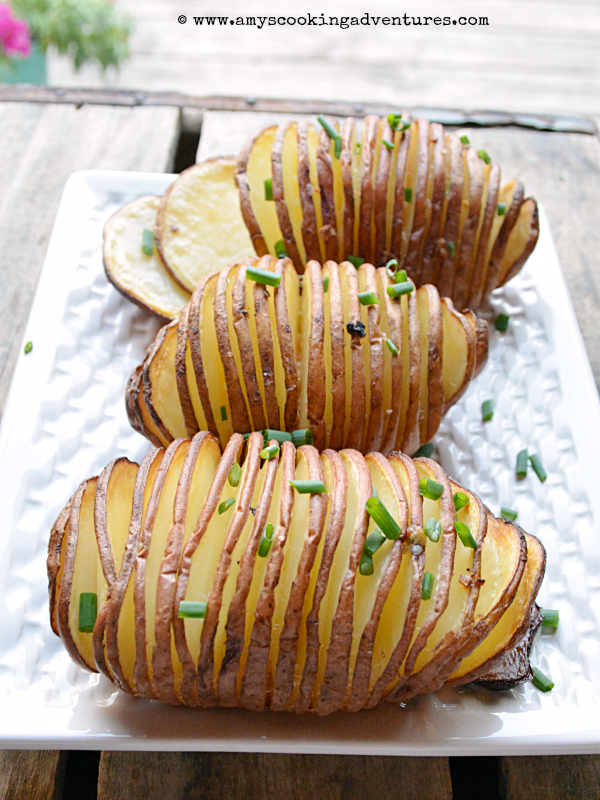 These are such great potatoes...love the butter that seems to be between each slice! 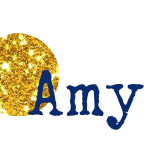 Hi Amy, I'm so happy to join your group this month. The potatoes look delicious and it is so rewarding to eat from your own garden. Did you wrap the potatoes in foil while they baked? Hi Wendy! I didn't wrap the potatoes in foil - just put them on a baking sheet and let them get crispy! I love making hasselback potatoes with bacon and cheese. Yours turned out looking beautiful! I always use the chopstick secret to make sure I don't cut all the way through. These look beautiful! Congratulations on an amazing potato crop! Those look beautiful and delicious. What fun! Potatoes from your own garden...that's amazing. And the recipe looks fantastic, too. I recently saw a few other things get the Hasselback treatment. I'll have to give this a try. You make these look so easy! Yum. ooooh SO GOOD! I'm jealous that you have your own potatoes!